Welcome to the home page of Maya Educational Experience! Please browse the information, and feel free to contact us via the Contact page should you have any questions. Maya EdEx is the first not-for-profit social enterprise to combine educational experience, immersion into the local culture, and a responsible allocation of resources in order to benefit local communities in rural Nepal. 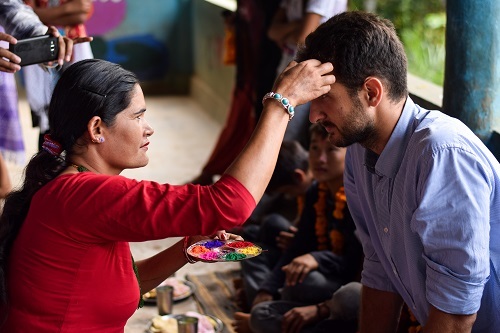 We are offering an immersive experience into Nepali culture, incorporating traditional workshops, meals with local families in rural villages, hikes with views of the Himalayas, and a bonfire party, all in the vicinity of the only free-of-charge private school in Nepal.